You should add your website to the Google Search Console as soon as or before your website goes live. Adding your website will give you valuable information that you can use to correct errors, measure performance, improve search rankings and enhance your website to drive more traffic and hopefully more sales your way. Before you can begin, you'll need access to your web hosting account and you'll need a Google account. Google uses the same login for all of their services and most people already have an account with them. The other thing to note is the Google Search Console has recently undergone some design changes. 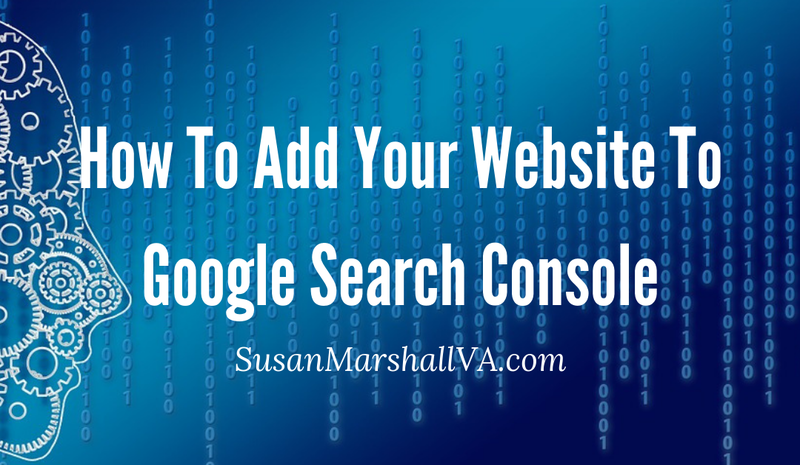 You can use either the old or the new but these instructions will use the new and improved Search Console. 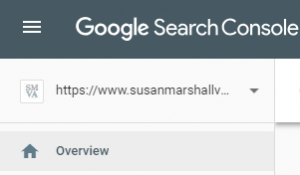 If you're on the old view, just look for and click on the blue button that says “Use new Search Console”. It should be near the top right corner of your screen. Assuming you have the prerequisites above, here are the instructions on how to add your WordPress website to Google Search Console. Log into Google Search Console and in the top left corner of the screen, click on the drop-down arrow then click on “Add property”. This should have a plus sign in front of it. Now you should get a popup window that asks you to enter your URL. You want to copy and paste the domain URL starting from https to .com/. (i.e. https://www.yourdomain.com/). After entering your URL, click CONTINUE. You should get a new popup window asking you to verify ownership. There are multiple ways to verify the owner of your website. One way is to download the HTML file that Google provides you and then upload that file to the root folder of your domain from your web hosting account. If your hosting account uses a cPanel then you'll do this in the File Manager. This file name will start with Google and will have an HTML extension. Once you've uploaded this file to your domains root folder, you can click the VERIFY button. Another way to verify ownership of your website is by adding an HTML tag or meta tag. I recommend doing this with the Yoast SEO plugin. 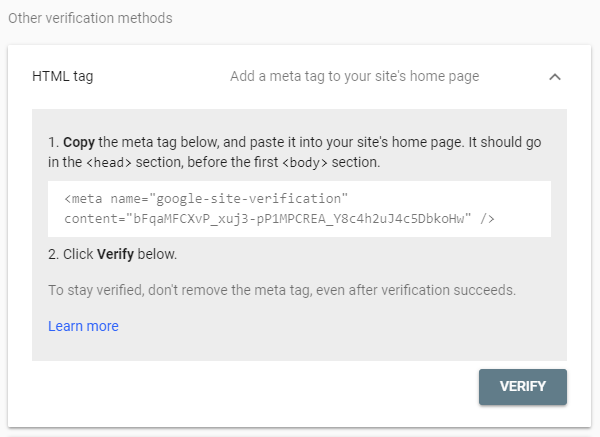 With this method, you will copy the meta tag that Google provides you and paste it in the appropriate Yoast settings from your WordPress dashboard. For more detailed instructions on how to verify your website with an HTML tag using the Yoast SEO plugin visit Yoast.com. This is what the meta tag will look like. It starts with <meta and ends with />. If you don't yet have an SSL certificate, then you will only need to add one additional domain. You'll end up with two properties total. One that begins with http:// and one that begins with http://www. If you have an SSL certificate installed, then you'll need to add three additional domains giving you a total of four. Once you get all properties added, Google will ask you which one you prefer to be included in the index. If you don't tell Google which one you prefer, they will make the choice for you. 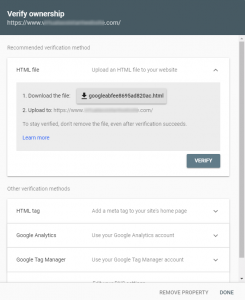 Following verification, you'll get an email from Google letting you know you've verified your domain. Once they start collecting data and impressions for your website, they'll email you with suggestions for tracking your website's performance and monitoring errors on your pages. Once you've added your WordPress website to the Google Search Console, you want to give it 2-4 weeks to gather data. While you wait for Google to index your site and gather data you can start thinking and planning about how you will measure your WordPress website traffic, performance, and SUCCESS. I'm happy to answer any questions you have about how to add your website to Google Search Console. You can leave them in the comments below or send me a message. p.s. Do you need someone to help you with your WordPress website? I offer WordPress monthly maintenance for updates and technical support.